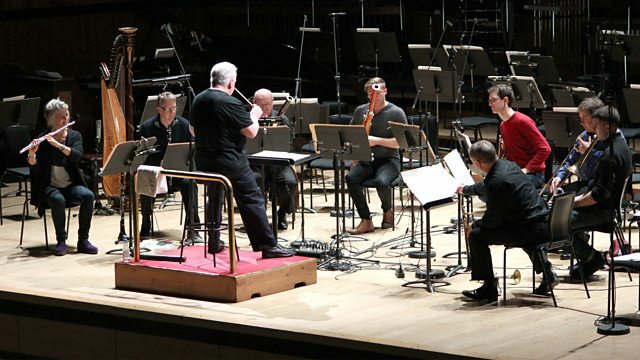 50 years to the day since the orchestra played its first concert, the London Sinfonietta celebrates its birthday with the music that has shaped its identity. Performer: Alistair Mackie. Performer: Mark van de Wiel. Performer: David Hockings. Orchestra: London Sinfonietta. Conductor: David Atherton. Harrison Birtwistle - Fields of Sorrow/Verses/Nenia. Ensemble: London Sinfonietta. Conductor: Vladimir Jurowski. Performer: Tamara Stefanovich. Ensemble: London Sinfonietta. Conductor: George Benjamin.